'Domino Effect' by Dr. De Que - DPC Prints! 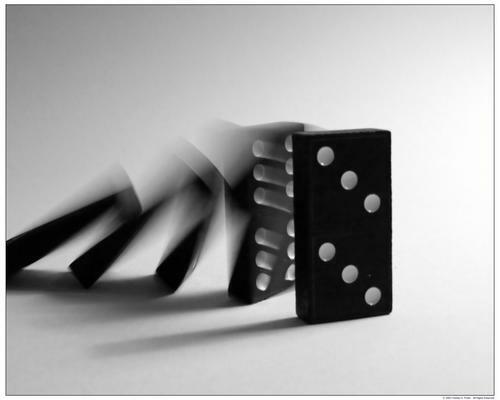 Domino Effect: One thing leads to another. Beware the law of unintended consequences. This photograph originally appeared in the Threes Challenge.